More bad NFL injury news came today, this time in Houston. According to Ian Rapoport, rookie QB Deshaun Watson may have suffered a torn ACL on a non-contact injury in practice this afternoon. Earlier today, Watson was added to the Texans’ injury report with a knee injury, and was listed as a limited participant in practice. 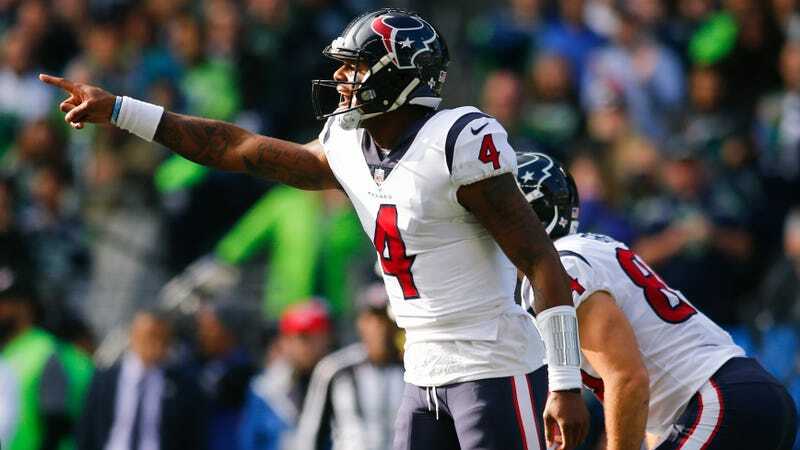 The wording from Rapoport leaves open the smallest window for optimism, but if the Texans’ worries are confirmed, Watson would surely be out for the year.